I once described Axiom Zen as a consulting shop that makes websites and apps for other people, but the project manager stopped me and said, “No no, we are an idea catalyst that help client dreams come true”. I was staffed on Twenty20.com, a client down in Santa Monica, CA, in addition to an internal project to help rank the clout of various GitHub users. Twenty20 is based in Los Angeles (Santa Monica), and is formerly known as Instacanv.as. Its tagline is “the world’s fastest growing creative community”, and during my stint with them they were growing more than 10% of users per week. To start off, I worked on implementing an A/B testing framework for them so they could test different designs and messaging. I also revamped their error-prone print-your-own photo process. I worked on their promo-code feature and checkout feature, while ensuring proper analytics tracking via Google Analytics and RJ Metrics. I created their invite friends page, revived their gift cards admin feature, and created the announcement banner feature, complete with easy-to-use admin panel implementation. Twenty20 is also beta testing a stock-buyer feature, as they have over 30 million user-created, unique, and actually quite beautiful images. I helped built version 1.0 of this stock buyer feature and saw it get rolled out to its initial users. I also created the working mockup for another major feature, which is the notifications and activity feed features. This was an internal project to rank the top 1000 most influential GitHub users. The purpose was for us to see who to target as beta users for a product we were rolling out. This was an exercise is large datasets and the GitHub API, as well as creating the algorithm for calculating influence. 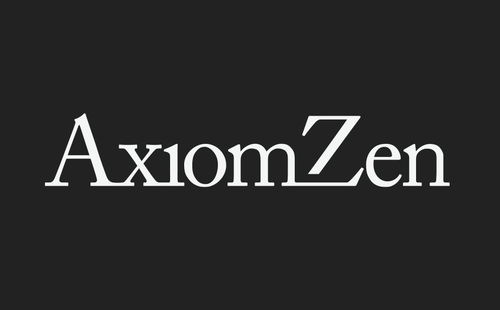 All in all, I greatly enjoyed working with the folks at Axiom Zen. They were fun, engaging, intelligent, and good at ping pong (and coding). If it weren’t for an yearning inside of myself to go do something for myself I would have loved to stay. Who knows - perhaps our paths will cross again someday!